History is witness to superhumans born with gifted powers to acquire multiple academic accolades or excel in their fields at a very young age. These were the people who showed the world the extraordinary power of the human brain. These were the people who innovated and gave back to humanity in terms of their research and innovations. Their life story is enchanting but not one that everyone could relate to. 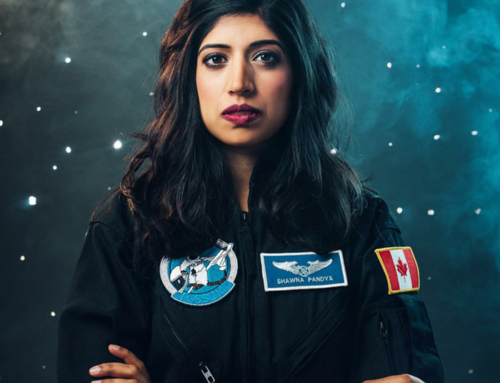 However, there is one South Asian woman in Canada who is challenging this very notion, an individual who has demonstrated that you do not have to be superhuman to achieve the extraordinary in life. All you need is dedication, hard work, and goal setting. She is Dr. Shawna Pandya from Alberta. 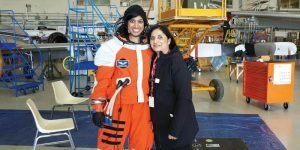 Pandya is just 33 years old, and to date, in addition to being a practicing physician, she has, at times, been an international Taekwondo & Muay Thai champion, a public speaker, an entrepreneur at Silicon Valley, a space researcher, an intern at NASA- Johnson Space Center, a model, university lecturer, and is soon to be a licensed pilot. 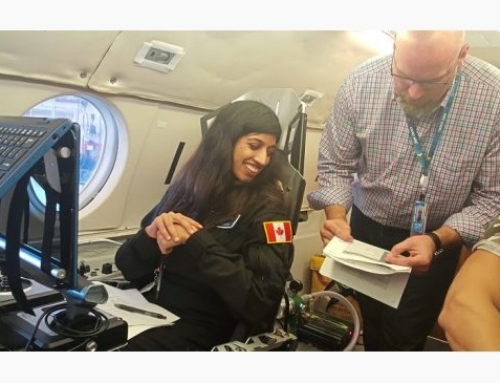 For Pandya, the sky is the limit and quite literally because she is also working with various Space projects which will require her to pass the 100 km Karman line, the boundary where space begins, and hence will be acknowledged as an astronaut soon. What else she wants to achieve? 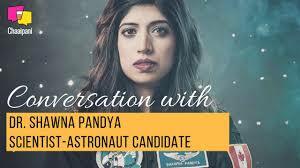 Her answer is, “I am just getting started.” Pandya, did her undergraduate Honors Bachelor’s degree in neuroscience, followed by a Masters in Space Studies at the International Space University, before entering medicine and obtaining her MD. Thereafter, she trained as a neurosurgeon for nearly 3 years before switching over to general practice. 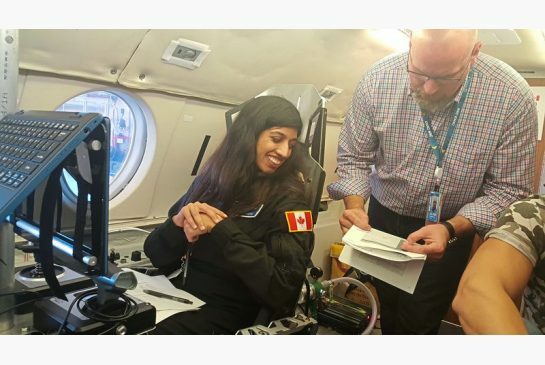 Her dream is to combine her medicine and space knowledge to further research in space medicine — that will include studying how our bodies will react in a completely different environment from Earth. Pandya did her schooling in Edmonton. Everything intrigued her as a child, and knowledge had no limits according to her. She wanted to grow up and explore beyond the skies so she kept reading and learning. 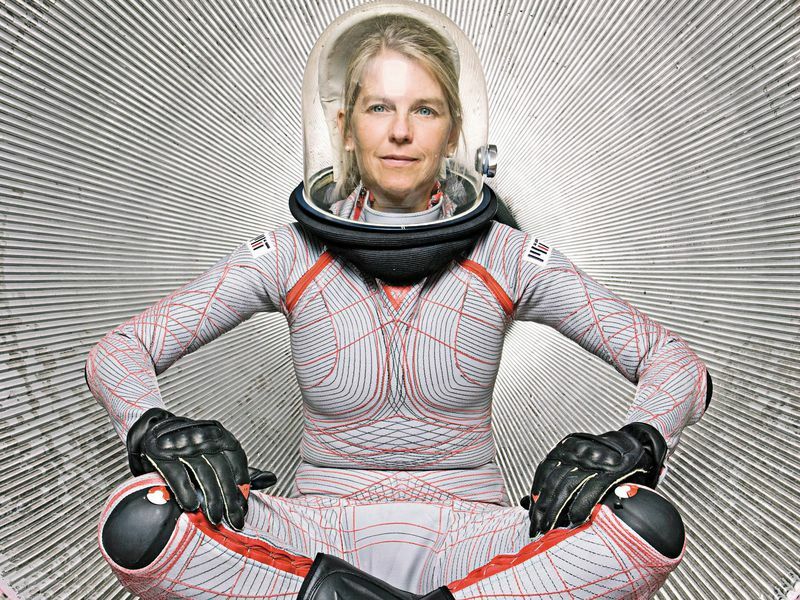 She wanted to be a neurosurgeon, a billionaire, a superhero, and go to Space. A part of her inspiration to pursue medicine and be an astronaut comes from Roberta Bondar, Canada’s First Female Astronaut and the first neurologist in Space. 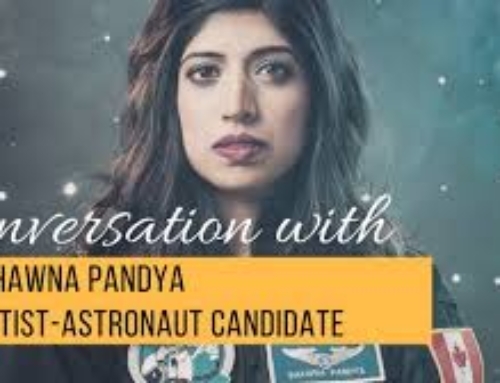 Pandya, who is also a motivational speaker, said in a previous TEDx talk on technology and innovations that she used to be scared to talk about her dreams and goals. “When I grew up, the first thing that I realized was that you should always share your ideas and knowledge,” because there are always people out there to invest your dreams. Pandya picked medicine. After graduating from high school, she sought admission to the ‘University of Alberta’ in the field of neuroscience. After completing her degree in Honors Neuroscience, she decided to do her MD. But she had a backup plan in case she did not get admitted to MD. She also applied for the Masters program at the International Space University in France. Luckily, she was accepted to both. Her entrepreneurial qualities were discovered at that time. Pandya co-founded ‘CiviGuard Technologies’ at Silicon Valley. The company’s aim is to use smartphones for disaster response. It was at that time she furthered her interest in Space. 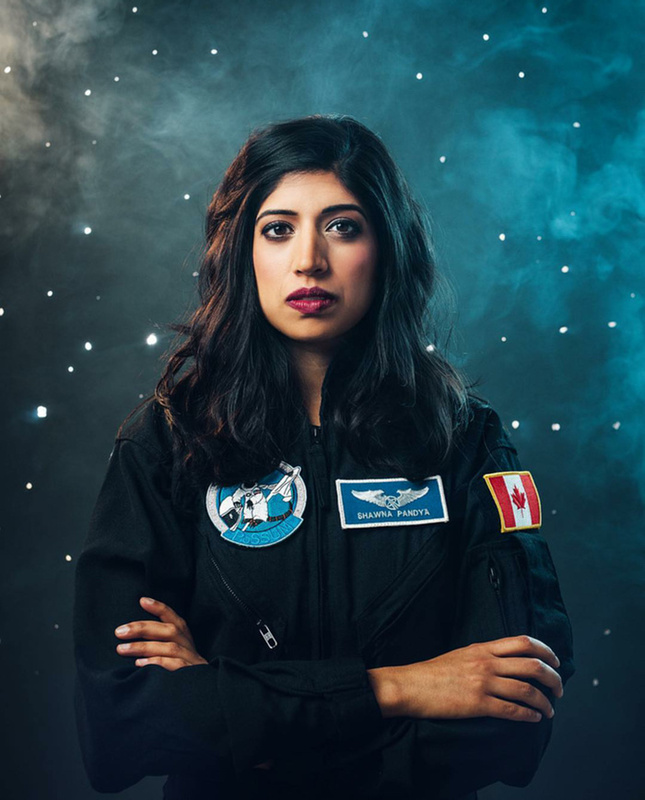 In 2012 she was one of the two Canadians to be selected by Canadian Space agency to intern at NASA. She got more involved in conference and research related to space. Her dream of becoming a astronaut was nowhere closer. But as a woman who dared to dream big, she never gave up on her hope. 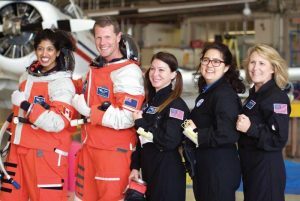 In 2016 she got the opportunity to work and train as a citizen-scientist astronaut candidate under two major projects – Polar Suborbital Science of the Upper Mesosphere (PoSSUM) and Physiological, Health and Environmental Observations in Microgravity (PHEnOM). At project PoSSUM, her goal is to study noctilucent cloud formation, a special cloud that has recently appeared and seems to be a marker of climate change. Both these missions focus on suborbital research, meaning she will have to pass the 100 km Karman line, arbitrarily defined as the line where space begins, and hence will be acknowledged as an astronaut. In 2016, she was also named to the prime crew of Project Poseidon. The program is a 100-day underwater research and exploration project. Project Poseidon will commence in the year 2019. When Pandya is not studying or practicing medicine, she can be found in the do-jang. She has been practicing taekwondo for 17 years, and is a second-degree black belt. She also recently entered and won her first amateur Muay Thai competition in Thailand. Even her message to youth is related to this. She says that as important as natural aptitude is, passion, discipline and a solid work ethic are just as critical for success. 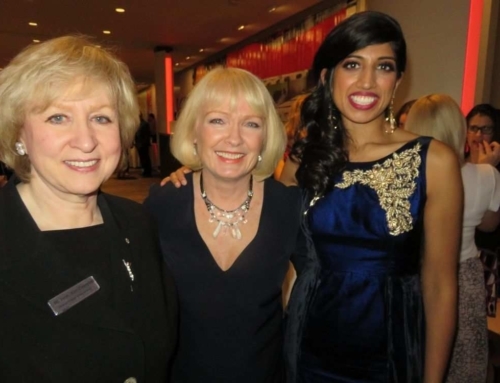 Pandya is currently based in Saskatchewan where she is pursuing an extra year of training in Enhanced Surgical Skills to qualify as a GP-Surgeon.